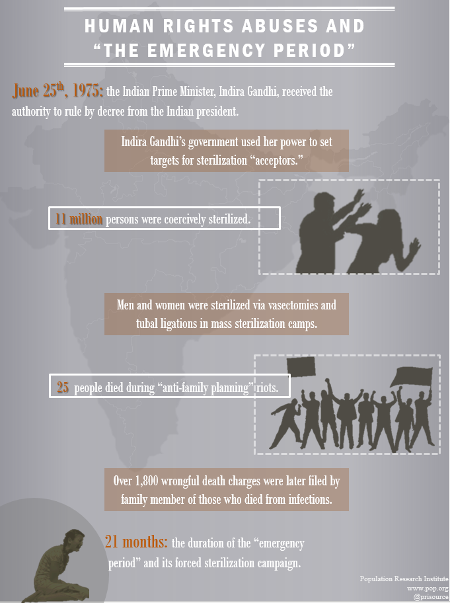 PRI has been tracking India and the abuses under its population control program for decades. 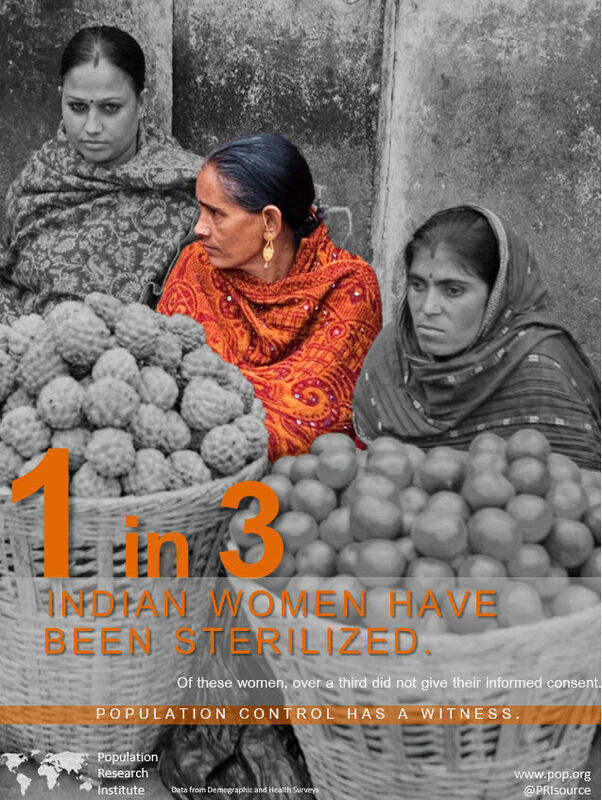 We are currently working on a comprehensive report of Indian sterilization abuses, but for now, see some of our existing work on India below. 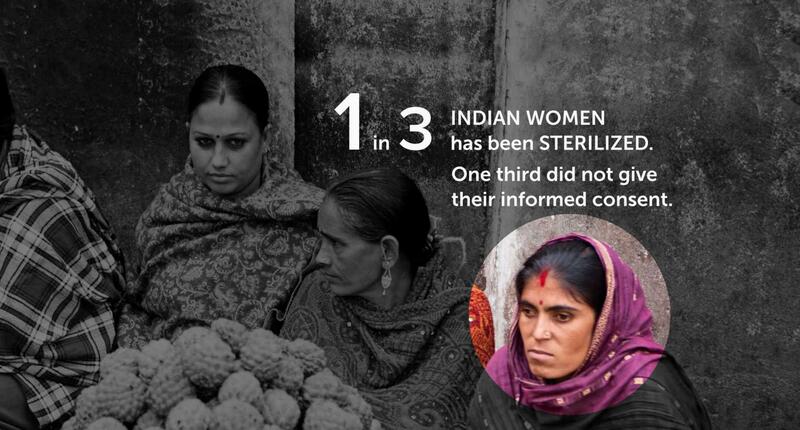 34% of women (about one in three women) who have been sterilized say they were not informed that the procedure was permanent. 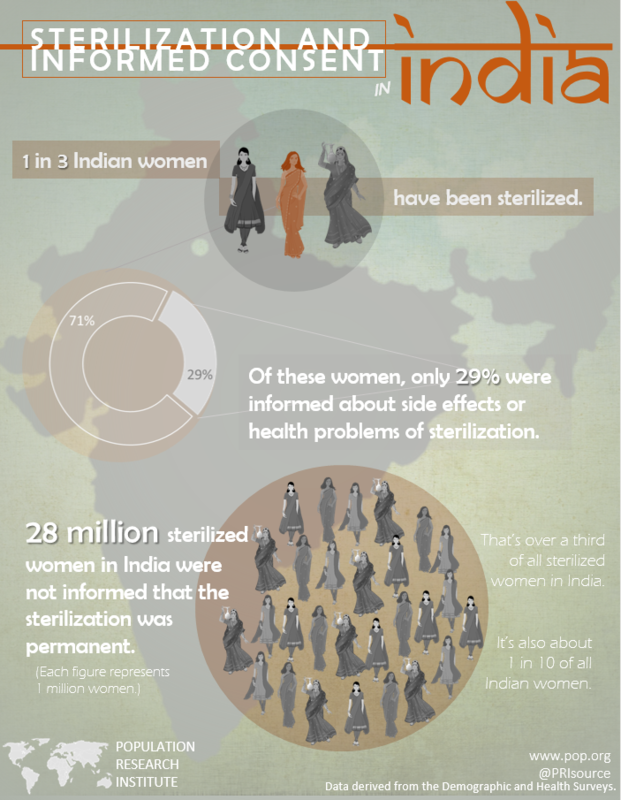 68% (about two out of three women) who have been sterilized say they were not informed about side effects or problems. Informed consent rates are poor throughout the entire country, but are worse among the lesser educated and the lowest income brackets. 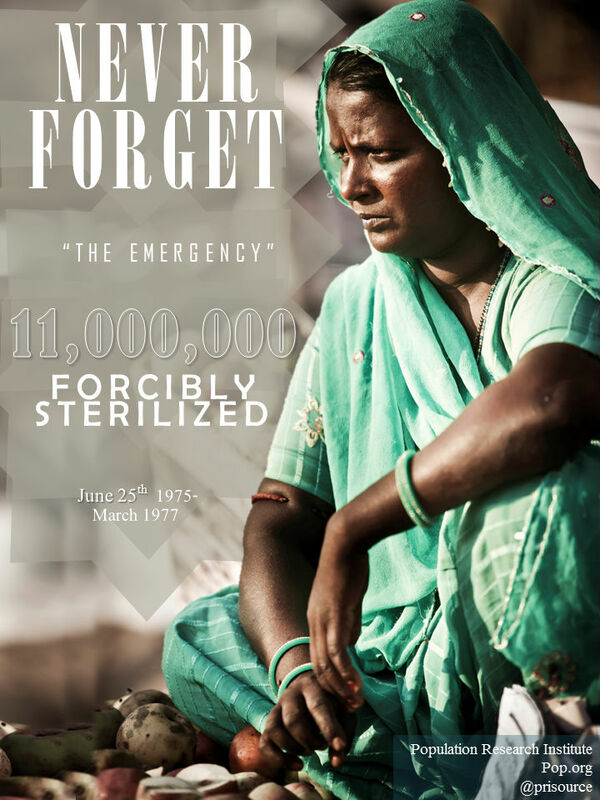 In 1996, the federal republic of India declared it’s family planning to be “target-free” but individual states still set yearly sterilization targets--often set in the hundreds of thousands. The Total Fertility Rate of India (the average number of children born per woman) is 2.5. The Net Reproduction Rate of India (the average number of daughters born per woman who survive through reproductive age) is 1.1. 1. International Institute for Population Sciences (IIPS) and Macrto International. 2007. National Family Health Survey (NFHS-3), 2005-06. 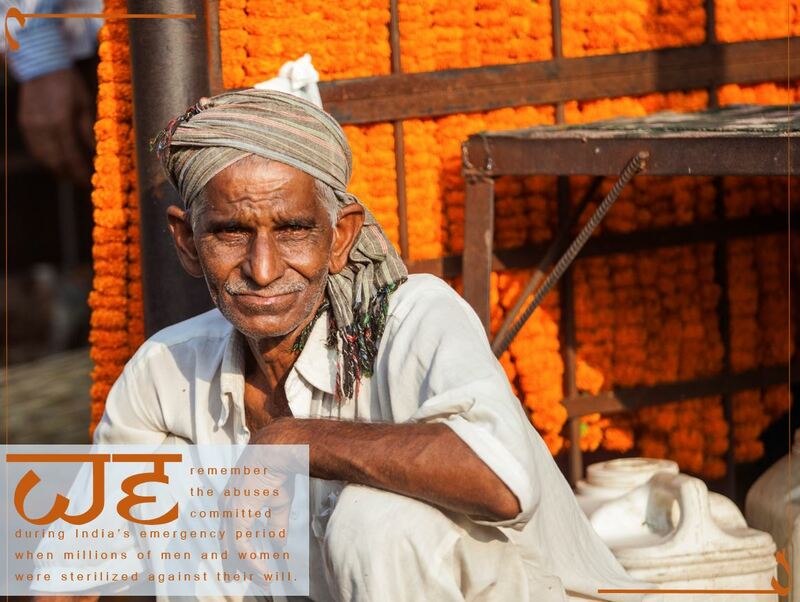 India: Volume I. Mumbai: IIPS. 4. "Health and Family Welfare Statistics in India 2013." National Health Mission. 2013. Ministry of Health and Family Welfare. Statistics Division. 8. Government of India. Ministry of Health and Family Welfare. "State Programme Implementation Plan" Web. 9. 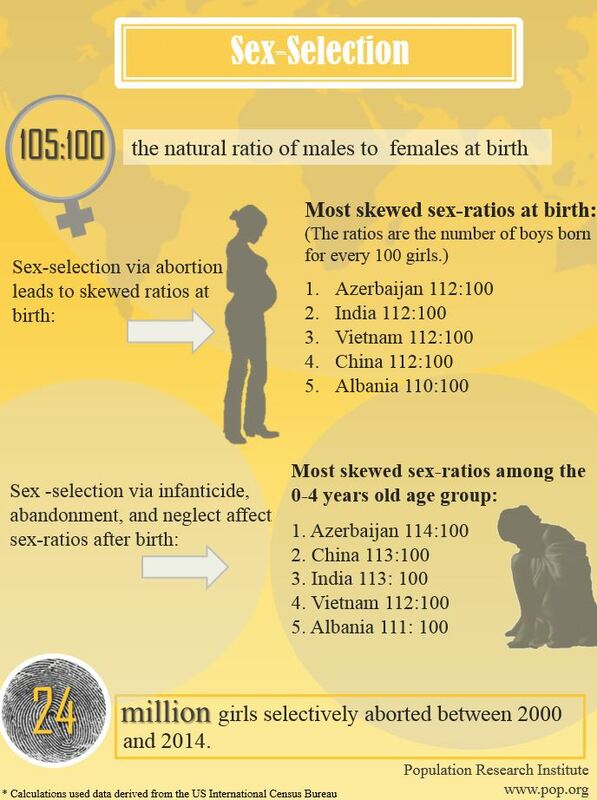 Total Fertility Rate. Data. World Bank. Web. 10. United Nations, Department of Economic and Social Affairs, Population Division, World Population Prospects: The 2012 Revision, New York, 2013. 11. "Health and Family Welfare Statistics in India 2013." National Health Mission. 2013. Ministry of Health and Family Welfare. Statistics Division.